Justice Minister Urmas Reinsalu (Pro Patria) is to make an announcement on his future at 13.30 EET (11.30 UTC) following calls for his resignation. Mr Reinsalu has been a vocal critic of the Estonian government's move towards endorsing the UN's Global Migration Compact, in line with his own party's opposition to the deal. The compact, scheduled to be endorsed on 10-11 December in Marrakesh, Morocco, where world leaders will present their government's approval of the deal (nothing is actually to be signed) has split the government as well as parliament, with Pro Patria and the Conservative People's Party of Estonia (EKRE) voicing opposition. Mr Reinsalu stated that it was not clear how the compact would pan out in practice, given that he believes mechanisms will be in place from the UN to oversee national compliance, citing the example of Austria, which he says will see the UN terms override national law on most of its 23 points. Austria under Chancellor Sebastian Kurz has already stated it will not be a party to the compact. 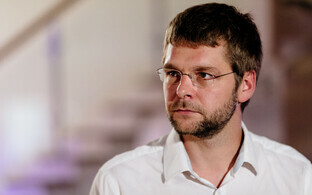 Foreign minister Sven Mikser (SDE) had previously said the compact was non-binding. On Friday, Social Democratic Party (SDE) leader Jevgeni Ossinovski called for Mr Reinsalu's resignation, on the grounds that his actions have split the government and caused progress on the issue to grind to a halt. Mr Ossinovski also stated fears that Estonia would join several central European countries including Hungary, the Czech Republic and Bulgaria, in addition to Austria as noted, in abstaining from attending the Marrakesh meeting, as well as the US. Donald Trump stated he would not attend the meeting and thus not endorse the UN agreement some time ago. 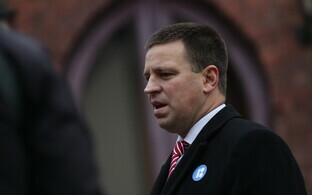 Prime Minister Jüri Ratas is convening a meeting of his own party (Centre) to discuss the matter. 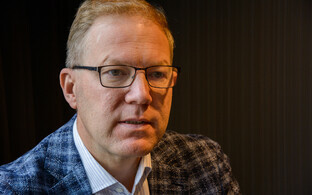 Mr Reinsalu is not the only minister facing calls for resignation; former foreign minister Urmas Paet (Reform) implied it might be time for Mr Mikser to step down, stating he would be willing to step into the breach if need be. Mr Paet had pointed out the need for strong direction on the issue. 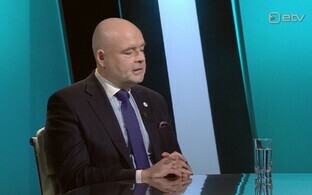 Mr Paet's party co-member, Marko Mihkelson, chair of the Riigikogu's foreign affairs committee, also criticised the workings of the deal, primarily because he felt parliament had not been kept up to date on developments by the government (government ministers do not sit in the Riigikogu, though they regularly answer questions in the debating chamber). 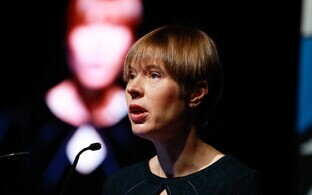 The crisis had already prompted President Kersti Kaljulaid, not normally a political figure, to intervene. She stated earlier in the week that she would not be on the plane to Morocco without government untiy, and issued a strongly worded statement on Thursday to the effect that opposition had unleashed unpleasant populist forces and was in danger of undoign a lot of the good work achieved in Estonia since independence. She also rejected the idea that it was normal jockeying for political position in the run up to the March 2019 election. Mr Reinsalu had additionally questioned the extent of the president's powers over the government; again, Mr Mihkelson broadly supported his view. Whilst Mr Reinsalu has not commented yet on his future, he looks likely to do so at the press conference. The current coalition government, made up of Centre, SDE and Pro Patria, has dipped below the 51 seats required for a majority, principally due to resignations. This need not spell its end since some former minsters and MPS, such as erstwhile entrepreneurship minister Urve Palo (formerly of SDE) still vote with the government. However the largest party, Centre, still depends for its survival in office on internal agreement with the two junior parties. Jüri Ratas tweeted (in English) that ''[the] Estonian coalition government was yesterday unfortunately not able to reach consensus on supporting the UN Global Compact on Migration. Estonia will continue to follow the agreed principles on protection of migrants'', at about 12.40 EEST on Friday. Readers with Estonian will be able to watch the conference live here.